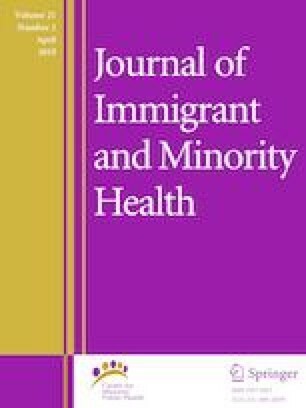 Epidemiological studies report conflicting findings regarding association between maternal immigration status and pregnancy outcomes. In this study we compared risk factors and prevalence of adverse pregnancy outcomes in native Portuguese and migrants. Cross-sectional analysis was conducted using information collected at delivery from the participants of Generation XXI birth cohort. Logistic regression models were fitted to assess the association between migrant status and adverse pregnancy outcomes. Prevalence of risk factors for adverse pregnancy outcomes varied between native Portuguese and migrants: teenage mothers (5.6 and 2.0%), primiparae (57.1 and 63.9%), smoking during pregnancy (23.0 and 19.1%), twins (3.2 and 8.0%), and caesarean section (35.2 and 45.7%). Among singleton births, prevalence of low birthweight, preterm birth and small for gestational age were 7.3 and 3.9%, 7.5 and 6.2%, and 15.1 and 7.6%, respectively for native Portuguese and migrants. The native Portuguese had an adjusted significantly higher risk of low birthweight (OR 2.67, 95% CI 1.30, 5.48) and small for gestational age (OR 2.01, 95% CI 1.26, 3.21), but a similar risk for preterm birth (OR 1.38, 95% CI 0.81, 2, 34). Migrant mothers presented a lower risk of low birthweight and small for gestation and data suggest a healthy immigrant effect. The online version of this article ( https://doi.org/10.1007/s10903-018-0761-2) contains supplementary material, which is available to authorized users. The authors also wish to express their gratitude to the Portuguese Foundation for Science and Technology for supporting their institution, the Epidemiology Research Unit of Institute of Public Health University of Porto (UID/DTP/04750/2013), and specific Grant awards (SFRH/BPD/75918/2011, PTDC/DTPSAP/ 6384/2014 and SFRH/BSAB/113778/2015). HB was responsible for the design and assembling of Generation XXI birth cohort. MK and HB conceived and designed the study and analysis. MK, SC and HB prepared the datasets and analysed the data. MK drafted the manuscript. HB reviewed, edited and revised the manuscript as well as supervised all the processes. All authors interpreted data and revised the manuscript critically for intellectual content. Finally, all the authors read and approved the final version.